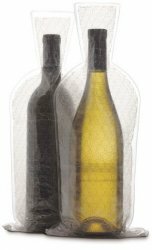 4100, Go-anywhere, ship-anywhere with the Wine Skin bottle bag enclosure with the leak-proof seal. The WineSkin wine carrier looks even better than the pictures show. LOGO or ARTWORK can be applied to this product. The perfect way to extend your brand, please inquire.